The incidence of Lyme has increased more than 6,000 percent in the past 10 years. Lyme disease is now the most-reported vector-borne disease in the United States; in the state of Virginia, the incidence has increased more than 6,000 percent in the past 10 years. Lyme disease is transmitted by the bite of a tick infected with the spirochetal bacterium Borrelia burgdorferi. "Warming temperatures are playing an important role in this increase. Not readily killed due to warmer winters, ticks are coming out earlier in the season and feeding almost all year round. 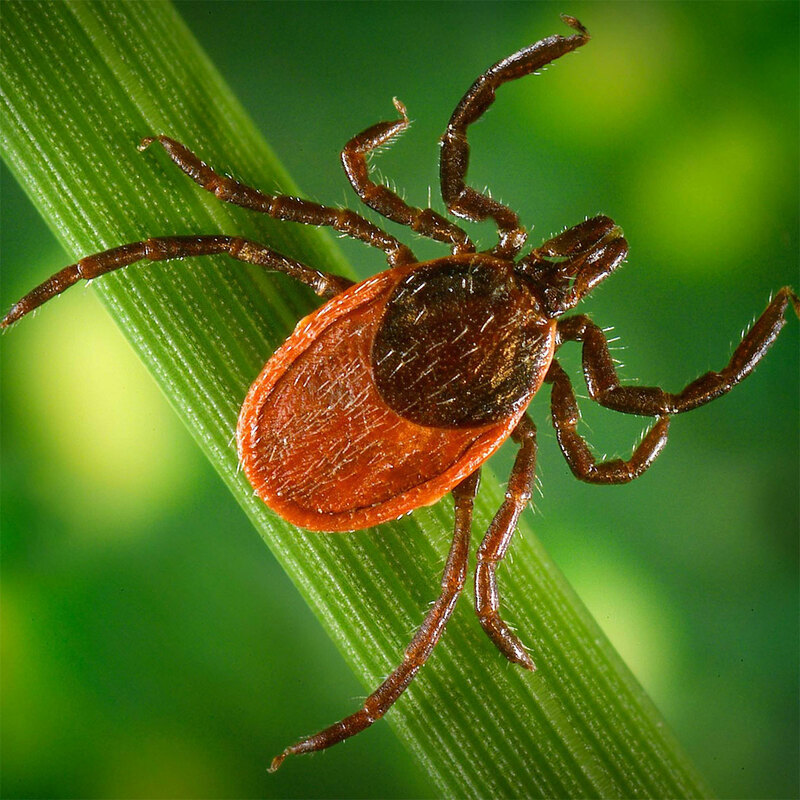 Another factor likely playing a role in the increase is public and physician awareness,"" said Brandon Jutras, a Lyme disease researcher in the College of Agriculture and Life Sciences. Four major species of ticks are capable of transmitting the bacteria that causes Lyme disease, only one of which is found in our area: the blacklegged, or deer tick, Ixodes scapularis. Jutras, a new assistant professor in the Department of Biochemistry, is discovering new biology that underlies the pathogenesis of Lyme disease. His lab is using cutting-edge quantitative microscopy and molecular techniques to discover new targets in the diagnosis and treatment of Lyme disease. Fundamental to the success of all bacteria is their ability to grow and divide. The largest class of drugs used to treat bacterial infections target bacterial growth. B. burgdorferi, the bacterium that causes Lyme disease, grows in such a way that it is fundamentally different from other bacteria. The Jutras lab is leveraging this unique biological feature to find drugs that will specifically kill the bacterium that causes Lyme disease. "One of the poorly understood and controversial aspects of Lyme disease is some of the late-stage complications, such as Lyme arthritis,"" said Jutras, an affiliated faculty member of the Fralin Life Science Institute. The Jutras lab is evaluating the role of bacterial cell components driving the complications of Lyme arthritis. B. burgdorferi is the quintessential member of a poorly understood phylum of bacteria, the spirochetes. In a broader sense, Jutras'’' findings extend well beyond just Lyme disease and have implications for the bacteria responsible for syphilis, relapsing fever, and leptospirosis. His research provides a fundamental framework with direct translational implications for many important human and animal diseases. Kristin Rose is communications and assistant proposal coordinator at the Fralin Life Science Institute.